When the mysterious Meltan started appearing in Pokemon Go, people were wondering what that was about. 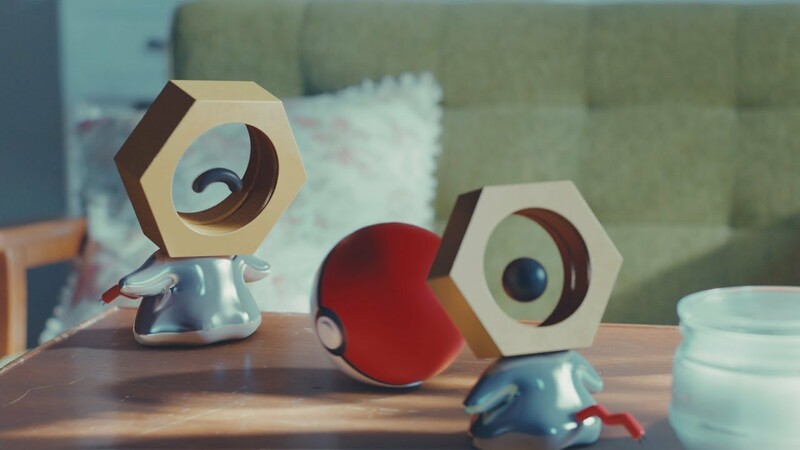 After a serious of teases, it became pretty clear that the new hex nut Pokemon would somehow be linked to the upcoming Pokemon Let's Go titles. Now we (sort of) have the full picture and one thing is clear: you can only catch Meltan in Pokemon Go. Because that would be too simple, it seems the easiest way to find a Meltan is by receiving a "Mystery Box." Getting a mystery box requires you to transfer your Pokemon from Go into Let's Go, which means you'll still need both games to have a chance of seeing Meltan...or will you?! In a bit of unclear wording, it looks like some special research quests in Pokemon Go will give trainers another opportunity to find the new critter, which is certainly nice for people without a Switch. Here is a trailer with Professor Oak and Willow kind of explaining the whole Meltan thing.